Only a week now until OJ Sagdahl and I will test run the QDFA antenna. All primary and secondary main supports are up. Four 200-ft lengths and one 300-ft length of twin-lead wire have been cut and ends tinned. Two 17Ah batteries for the QDFA preamp are fully charged. The four 60-ft horisontal lengths of the deltas are cut and will be mounted today. And I got my second Perseus SDR a week ago. Back when I was hunting veries, I sent a report to KGIM-1420 and KSDN-930, both in Aberdeen SD. They didn't respond at the time, a pity since I had heard KGIM only once and KSDN wasn't particularly easy to hear either. A follow-up yesterday was quickly taken care of though, and a friendly confirmation was emailed back. 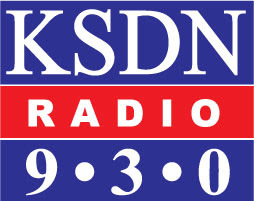 Both reports are from October 2007, although I heard KSDN on a number of occations in 2008 and 2009. All those who believe that Aberdeen is a junction in South Dakota should know that the city is the county seat of Brown County, has a population of around 25,000, is susceptible to flooding and that a hospital is the largest employer. If we dare to trust Wiki. Of course, Aberdeen is also a junction in South Dakota.